Je suis indifférent – For the fainthearted . . .
“In a country that still offers the most agreeable everyday life on earth, why depress yourself with the news?” asks Simon Kuper in the Financial Times. His analysis of French indifference to their country’s presidential campaign suggests that an aversion to news of terrorist threats, national decline and political news, combined with less than 1% of people buying a national newspaper, and a low engagement with online news, means there is little awareness of the campaigns of Emmanuel Macron, Marine Le Pen, Francois Fillon, and the socialist candidate: little awareness and little interest. France has been a personal love since first visiting there more than thirty years ago. In recent years, the visits have increased in frequency, at least twice a year for the past seven years; four times in 2015, three times in 2016. 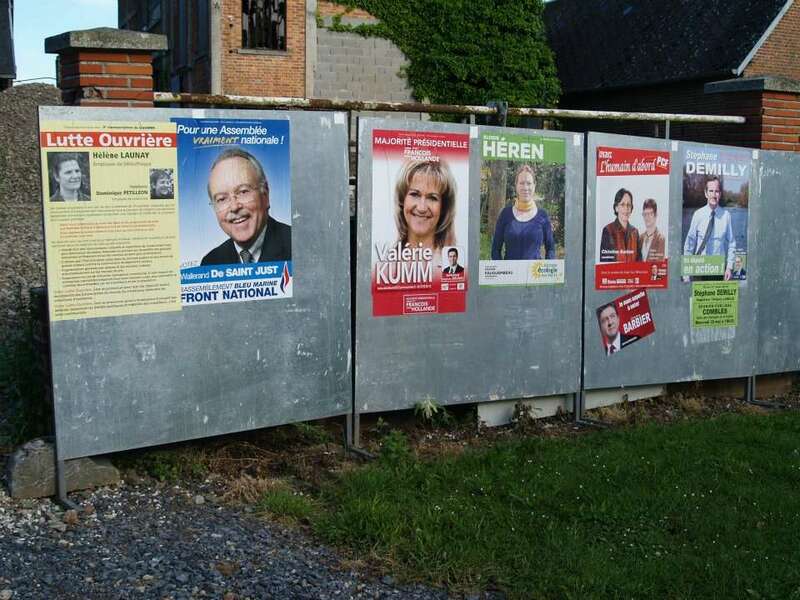 From the Belgian border down to Beziers, and from Brittany to Biarritz, many faces of L’Hexagone have been experienced, none of them seemed passionately politicized. Perhaps it is the sheer diversity expressed in those many faces that militates against extensive political engagement. Wandering through the Place de la Bastille in Paris on Mayday last year there was a great carnival atmosphere, but much of the activity seemed under the auspices of the Turkish Communist Party and the crowd was as much interested in food and music as in political literature and speeches. Where were the French parties? On the Quai d’Orsay two days later, detachments of the Compagnies Républicaines de Sécurité in riot gear stood behind rigid plastic walls; on the other side there seemed a few hundred trade unionists gathered to protest against new labour laws, they hardly seemed the threat anticipated by those who had deployed the CRS. There seemed no coherence among the radical movements and little interest among the Parisians who passed by. If fragmentation of politics contributes to disinterest, the apparent low profile of French election campaigns cannot enhance awareness. In Ireland, one cannot be unaware of election campaigns taking place. 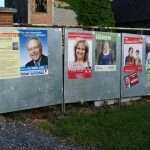 In towns, there will hardly be a telegraph pole or a lamp post in the country not festooned with posters bearing the images of the candidates. Even in the most rural areas, in the proximity of every road junction and every public building, there will be large advertisements requesting the support of voters for particular parties. Staying in Picardy in June 2012, it seemed that French regulation did not allow for Irish demonstrativeness. 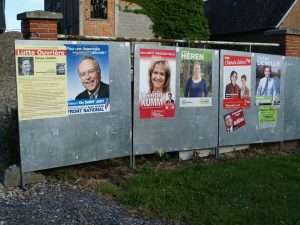 A single board in a village bore the posters for the candidates of the respective parties in the general election. Fragmentation and unawareness cannot but be reinforced by strong regional identities and the localisation of decision making. One of the delights during our annual holidays each September is to buy a copy of the regional daily newspaper Sud-Ouest. Covering a region from Bordeaux to the Basque Country, its dozen and a half local editions include national and international news as well as reports from the communes of the area covered. Reading news from Paris when staying in a rural community deep in Aquitaine, there seems a sense of detachment, a sense that Paris belonged to a different world. General de Gaulle is said once to have asked, “Comment voulez-vous gouverner un pays qui a deux cent quarante-six variétés de fromage?” (How do you govern a country with two hundred and forty-six varieties of cheese?) An internet search shows de Gaulle’s figure was an underestimate, that the true figure is 350-400, whatever the number, it points to a country where diversity is celebrated, where quality of life is a bigger priority than the politics of power. Simon Kuper believes France offers “the most agreeable everyday life on earth,” why would anyone be interested in the posturing of politicians when dining well, and dressing elegantly, are so much more interesting? I did quite a bit of work in France back in the day. And one of the things I really liked about the French was their scepticism. Now don’t get me wrong I don’t think they get to the nihilism sceptics drift towards here on these islands. No, this is more romantic, philosophical and frankly French. It’s that shrug with the one second sucking of the teeth denoting everything from what can we do, to OK lets get going and have a bit of a strike to fix things. You see I don’t have the same feeling about the election you have. At least not to the result. Remember it was DeG who set up the two election election allowing for the voting with the heart in the first to vent the trés frustré to the vote with the head in the second. Do you think the UK would’ve voted to Brexit if they had a second vote a week later. Or the US for Trump.